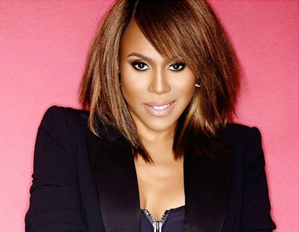 Deborah Cox solidified herself as one of the greats in 1998 when she released “How Did You Get Here?” The single, showcasing Cox’s powerhouse vocals, limitless range and perfected control, was such a hit that it spent 14 weeks at number one on the Hot R&B charts and eight consecutive weeks at number two on the Billboard Hot 100. We may not hear the Canadian songstress regularly seep through our radios, but her immeasurable talent is always a part of the conversation when we discuss music’s elite. Ms. Cox is still making moves, just in a quieter fashion than her starting days. In fact, she’s set to star on Broadway as the iconic Josephine Baker. The musical, Josephine, debuts in April and runs through Sunday, May 29. Asolo Theater is co-producing the spectacle with two-time Tony winning Kenneth Waissman (Grease). Joey McKneely, a two-time Tony nominee, is directing and choreographing. This makes several of Cox’s Broadway appearances. She landed the starring roles in Aida and Jekyll and Hyde. Some may also be surprised to discover it was Deborah Cox who provided the vocals for the Lifetime Whitney Houston biopic, Whitney.